Physical Matte UV Defense SPF 50 is a daily broad spectrum UVA/UVB protective base proven to maintain a matte finish, even in humid climates. 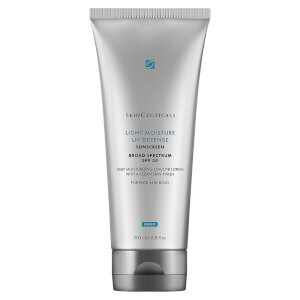 Using all-physical filters, mineral zinc oxide (Z-COTE®), and titanium dioxide, Physical Matte UV Defense SPF 50 utilizes aerated silica technology that is able to absorb 15 times its weight in oil to mattify even in hot, humid conditions. Translucent color spheres enhance radiance and an optimized smoothing base refines skin texture and minimizes appearance of pores with a powder-dry finish to optimize makeup application. Best suited for oily and combination skin types. Protects and adds radiance to skin. Apply daily to face, neck, and chest. Reapply every two hours and after swimming, excessive perspiring, or after towel drying. Active Ingredients: Titanium Dioxide 9.00%, Zinc Oxide 3.99%. Cosmetic Ingredients: Dimethicone, C12-15 Alkyl Benzoate, Talc, Dicaprylyl Ether, Triethylhexanoin, Isohexadecane, Dimethicone Crosspolymer, Styrene/Acrylates Copolymer, Hydrogenated Jojoba Oil, Dimethicone/Vinyl Dimethicone Crosspolymer, Aluminum Stearate, Peg-8 Laurate, Triethoxycaprylylsilane, Silica Silylate, 2-Oleamido-1,3-Octadecanediol, Alumina, Aluminum Hydroxide, Iron Oxides, Disodium Stearoyl Glutamate, Polyhydroxystearic Acid. I love the SkinCeuticals Physical Matte UV Defense SPF 50, except for one very important thing: it's too runny! It just gushes out of the tube, making it difficult to handle. I hope SkinCeuticals resolves this issue. I was referred to Jounee from Neocutis. That's a good product, too, but I'm allergic to something it IT'S formulation. So I'm really hoping SkinCeuticals fixes this issue. I got this product as a sample first and fell in love. I do not have oily skin, but more combination skin and live in a humid climate. 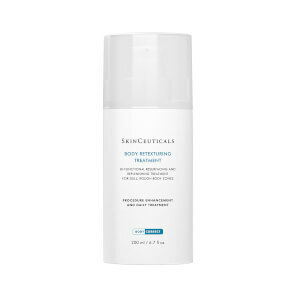 I also use the SkinCeuticals vitamin C Ferulic sereum first, so that adds an extra layer of moisture and this product does a beautiful job of providing a light makeup coverage with needed sunscreeen, and also looking like you added powder on top of your makeup, without that unattractive dryness look when your face moves. Thanks SkinCeauticals, I really love this! This was a little bit of a disappointment. This is a tinted sunscreen and a little bit goes a long way, but it doesn't seem to have a matte finish. My oily skin also shows through in only 3 hours or so. I much prefer the Sheer Physical Defense. I have been using this product under my makeup. It has no fragrance and dries quickly. Its texture is similar to mousse. I find a little goes a long way so the price is good compared to similar products. Finding an SPF 50 product like this is hard to find.